South Kaipara Head, Auckand. 12 km beyond Parakai, turning right at Tuparekura Road. Access by concrete drive off Kaipara Lake Road. Entry is at your own risk. The reserve was purchased in two stages. The first stage consists of 23 hectares featuring a freshwater lake and marsh, bordered by native vegetation with dominant kanuka and rewarewa. The block includes several hectares of bush-clad slopes and an open paddock. 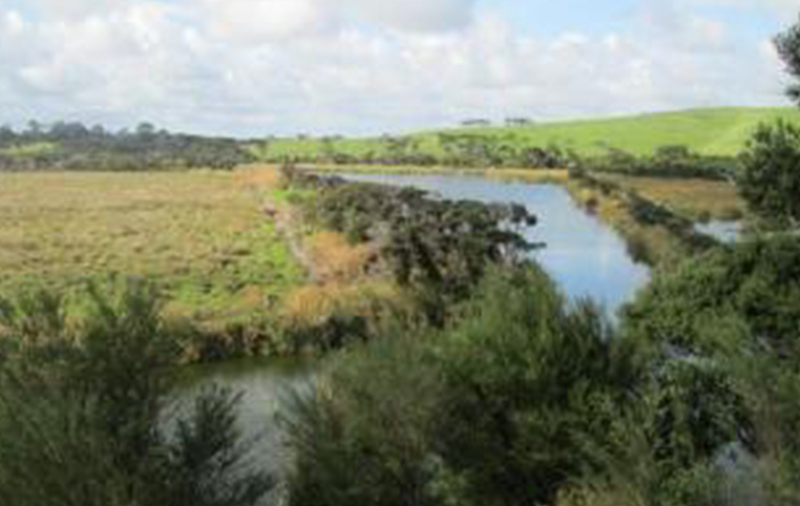 The second purchase was 113 hectares of adjoining coastal flats on the Kaipara Harbour, comprising salt marsh, shallow open water and coastal gallery forest. Regenerating groves of ngaio and kowhai, strips of kanuka with planted indigenous species. Native mistletoe are present. Bordering the lake are raupo and a variety of rushes and there is extensive saltmarsh vegetation on the flats. An abundance of marsh and water birds are present including bittern, crake, fernbird, NZ dabchick, little grebe, grey teal, NZ scaup, shoveler & paradise shelduck. There are also nesting colonies of pied shags & little shags. The property containing the lake was purchased in 2008 and the reserve was opened on 14th March 2009 by Trust patron Sir Paul Reeves. The additional land was acquired in 2010. The first property was purchased with a legacy from the estate of Marie Neverman, combined with a large donation from another Trust supporter. The additional land was purchased with $60,000 received from an appeal to NFRT supporters, supplemented by two major gifts. Weed control of thistles, pampas, woolly nightshade and climbing asparagus. Planting of native species. Predator trapping and deer control. Installation of stiles and clearance of pathways. Maintenance of fences and stop-banks.